You must try it! Add a little fresh lime…you will love it! 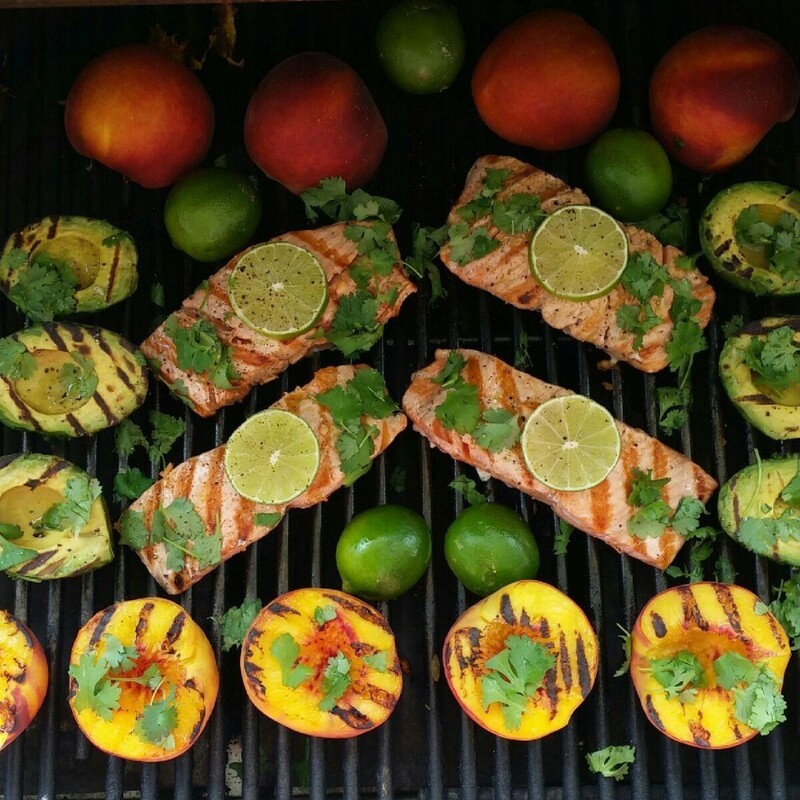 Rub marinade onto 4 Salmon Filets. Let Salmon marinade in the refrigerator (covered) 2-4 hours. 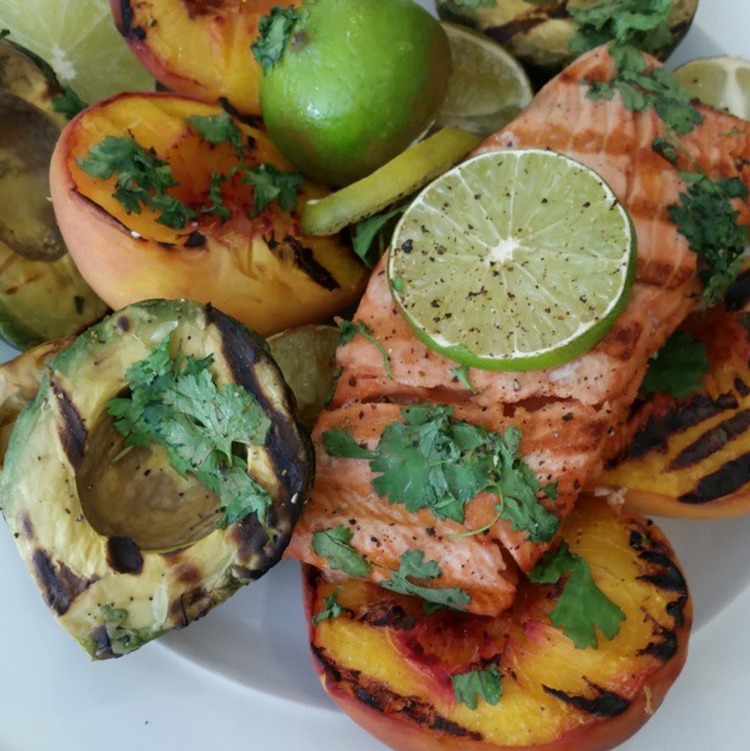 I doubled the marinade recipe above (separately) and brushed onto the avocado while grilling. The avocado grills very quick. 3-4 minutes per side on a medium grill. The idea is to simply warm up the avocado. 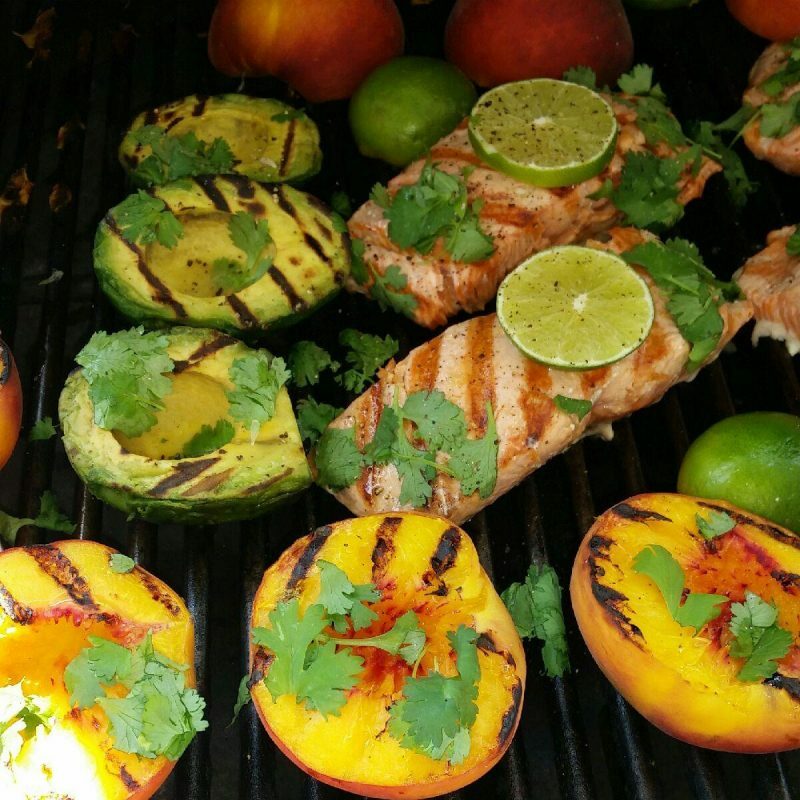 Tip: Be sure to brush your hot grill with a little avocado oil or coconut oil spray to prevent sticking.